Like I mentioned in my previous post, 2015 was a big year for me. Here’s hoping 2016 will be even bigger. This year, I want to do everything I can to improve my writing. I’m always looking to improve, and I won’t give up on my dreams. I want to make some serious progress in the next twelve months. 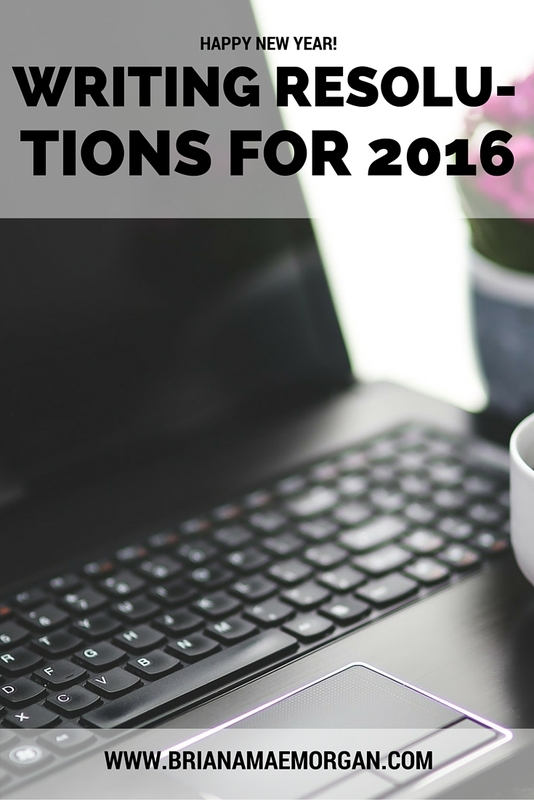 With that in mind, I’m sharing my list of writing resolutions for 2016. It should come as no surprise that I’m a fan of setting goals. Last year, I set goals for my birthday and for the end of autumn. I keep a running goals list in my planner to remind me of what I’m working towards. Having these goals written somewhere that I’ll see them every day keeps me focused and motivated. The goals apply to all aspects of my life, including health, finance, work, education, social intelligence, and even writing. Publish Reflections. I’m working on the first draft now and making solid progress. I haven’t felt this strongly about a novel in a while–I could’t stop thinking about this story while editing Blood and Water. That’s got to count for something. Publish The Palest of Pinks. I wouldn’t normally challenge myself to put out two novels in a year, but I have almost 30K of this one written already, so it shouldn’t be impossible. Update the blog one or twice per week. Three times per week is too much. If I go with once or twice a week (leaning more towards once), that takes off some pressure, and the quality of the posts will improve. Post one vlog per week. For now, this frequency works. If I get much busier, I may have to scale back to one every two weeks. Send out newsletter every two weeks. Or maybe once a month. I haven’t decided. Let me know what you think, please! Get more editing clients. Now that I’m writing and editing full-time, I need to do whatever I can to make sure I can pay the bills. If you know someone who needs an editor, feel free to give my name out! Swap more work with betas. I owe so much to my Blood and Water betas. For Reflections, I’ll definitely need some betas, and maybe even alphas once I’ve finished the first draft. Take something out of the drawer. There are so many novels I tried to write in high school and college. Maybe, just maybe, one of them has potential. At any rate, they might be fun to take out and read–if nothing else, just to see how far I’ve come since then. Get featured on a podcast. I don’t know why I want to do this, but I definitely want to do this. Do more interviews. This resolution is more marketing-related and goes along with the above. Still, since I used to be so shy, I want to work on opening up to people and sharing what’s important to me. These are just a few of my writing resolutions for 2016. I’m sure I’ll come up with more as the year goes by, and I’ll try to keep you all updated on my progress as well. Let me know what resolutions you have for the coming year so we can hold each other accountable! What are your writing resolutions for 2016? 2015 was a big year for me. I moved back home from Florida, finished and released my debut novel Blood and Water, visited Chicago and New Orleans, became a full-time writer and editor, and committed to vlogging regularly. I also had some pretty interesting blog posts. 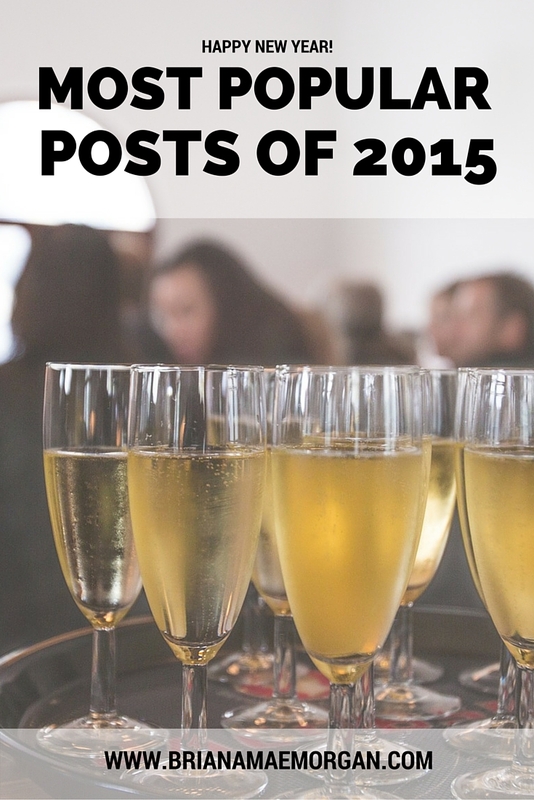 Keep reading to see what my most popular posts of 2015 were. The following data was gathered using Google Analytics. I have a nifty WordPress plugin that installs the tracking code on each page of my blog. If you want to read any of these posts, all you have to do is click the title–I’ve already linked them for you! These are just my top ten blog posts from the past year–there are several more I wanted to include, posts I adore, but they didn’t seem to get much attention. These other posts include My Semi-Secret Struggle, How to Handle Plot Bunnies While Editing, and How to Write with Someone Else. Thanks for helping me have such a wonderful year in writing, editing, and blogging. I seriously couldn’t have done it without your love and support. Happy New Year, everybody! What were some of your favorite posts I wrote this year?